(Reuters) – More than 100 people said they had fallen sick after eating at a Chipotle Mexican Grill Inc <CMG.N> restaurant in Ohio, sending shares of the burrito chain down as much as 9 percent on Tuesday. The customers said they suffered from food poisoning and diarrhea after eating dishes including tacos and burrito bowls at the Powell, Ohio restaurant over the past few days, according to food safety website iwaspoisoned.com. The Delaware General Health District, which is investigating the food safety incident, told Reuters the county health department had got more than 100 calls since receiving the first complaint linked to the restaurant on Sunday. Public information officer Traci Whittaker said the department was investigating food samples from the outlet, but is still not aware of the pathogen that caused the illnesses. The reports come just after the agency had routinely inspected the restaurant on July 26 and found that lettuce and beans were not stored at the right temperature. However, the infractions were immediately corrected, Whittaker said. Chipotle shut the restaurant on Monday after it received complaints of illness from two customers, Laurie Schalow, the company’s chief communications officer, said in an email. “We acted quickly and closed this single restaurant out of an abundance of caution yesterday. We are working with the local health department and we plan to reopen this restaurant today,” Schalow said on Tuesday. The Powell outlet said in a phone call that it was working to get the restaurant open by Tuesday afternoon. The news is another setback to the company, which was recovering from a series of high-profile food safety lapses in 2015 that sickened more than 100 customers with E. coli and salmonella and bruised Chipotle’s reputation and stock price. It is also the first major food safety issue under new Chief Executive Brian Niccol as he works to bring back customers to the Mexican food chain that once was an investor darling. The stock traded over $700 just two months before the 2015 food safety incidents. “If this story gains traction, it might have more serious implications for the stock. It certainly, at this point, is a negative. I think it is something the CEO should address,” Maxim Group analyst Stephen Anderson said. 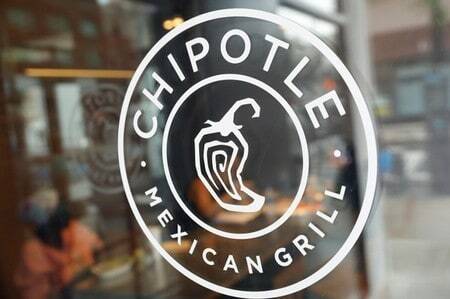 The company’s shares were down 5.6 percent at $439.60, erasing gains made since Chipotle reported stronger-than-expected profit and same-restaurant sales for its second quarter on Thursday.